2 Bedroom Detached Bungalow For Sale in Clacton-on-Sea for Asking Price £260,000. 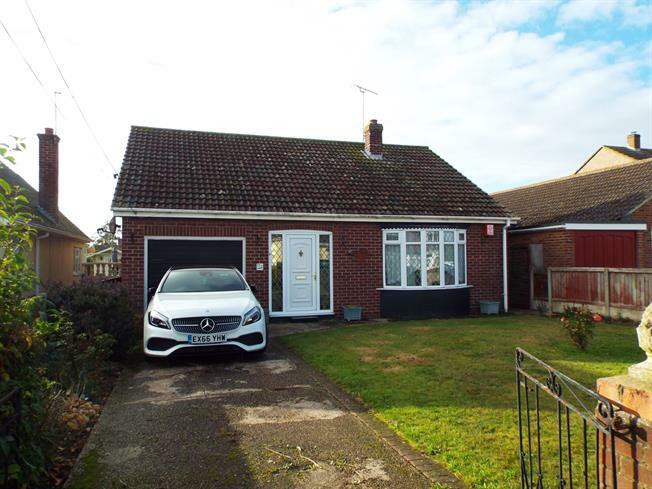 We are delighted to offer this older style detached bungalow situated in Little Clacton. The spacious bungalow has a kitchen/breakfast room, conservatory, good size gardens, parking and integral garage. No onward chain. The property sits on a good size plot and has parking to the front which also provides access to the garage, lawn area. The rear garden is mainly laid to lawn with beds, paved patio, gate to side access, garden shed and greenhouse to remain, oil tank. Up and over door, power and light connected, fuse box, floor standing oil fired boiler.